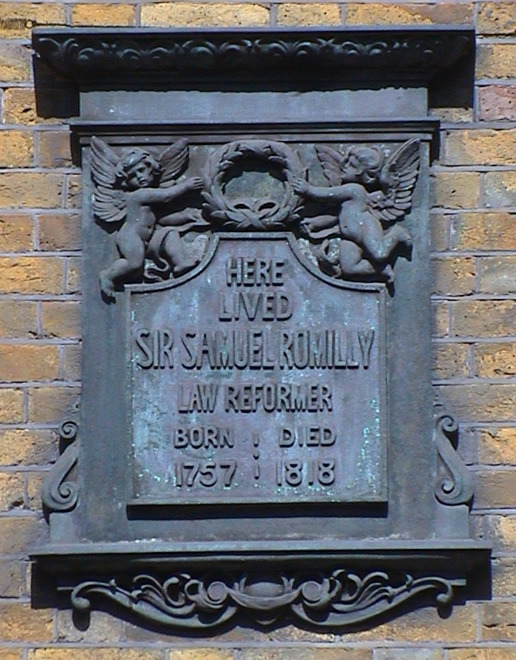 Here lived Sir Samuel Romilly, law reformer. 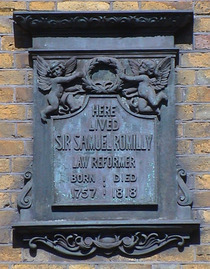 Born 1757 : died 1818. It was in this house that Romilly committed suicide.